Whether you’re cuddled up one-on-one at bedtime or reading with a small group at story time, you can help the little ones in your life have big moments with God. 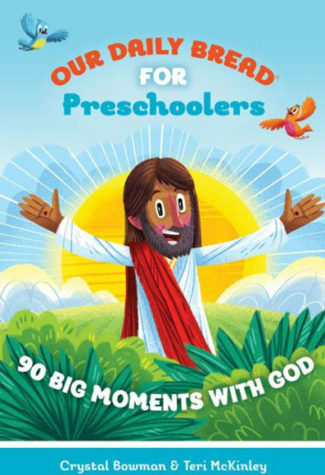 Introducing little children to their heavenly Father can be easy and fun with Our Daily Bread for Preschoolers: 90 Big Moments with God.Through engaging and colorfully illustrated devotions, children will quickly learn about God and the world He created. Authors Crystal Bowman and Teri McKinley share a simple Bible verse with a brief explanation, a practical question to help readers apply what they learn, and a short rhyming prayer to help them talk to God. 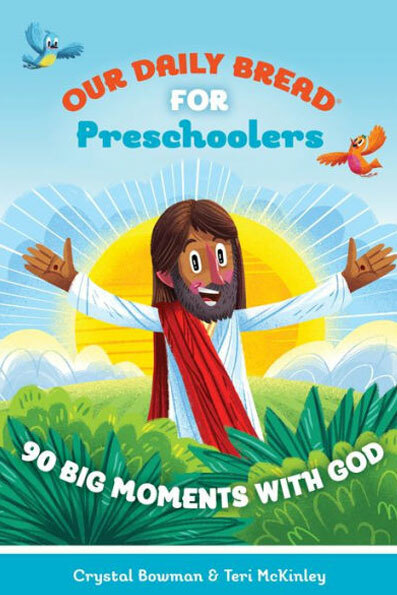 Highlighting God’s actions, character, and promises, this engaging book offers a fun way to introduce young children to Him. These brief and colorfully illustrated devotions are just right for preschoolers to capture the basics of His amazing love.